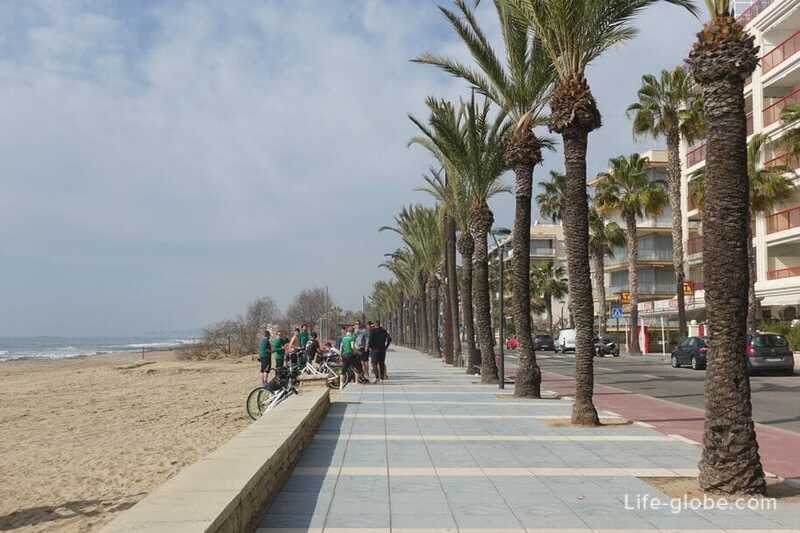 Ponent beach in Salou (Playa Ponent) is one of the main beaches of Salou. Playa Ponent is the most Western beach of the resort. 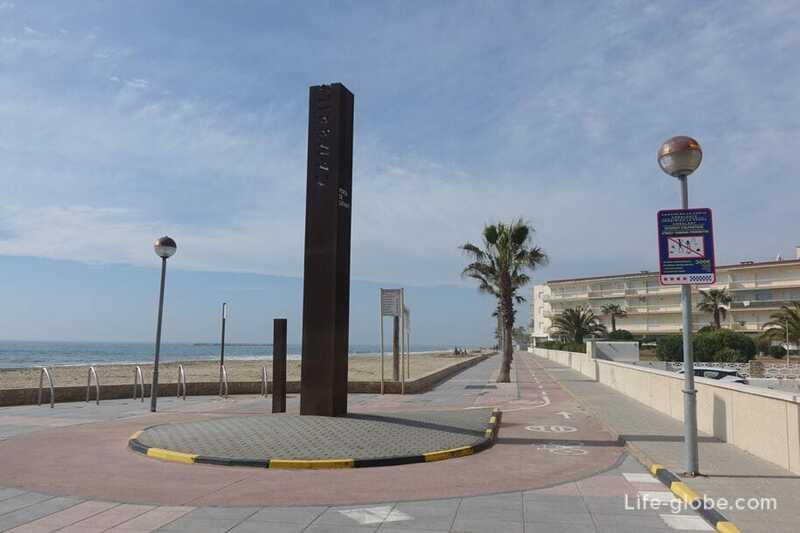 Located South of the port of Salou and next to the Central beach of Llevant. 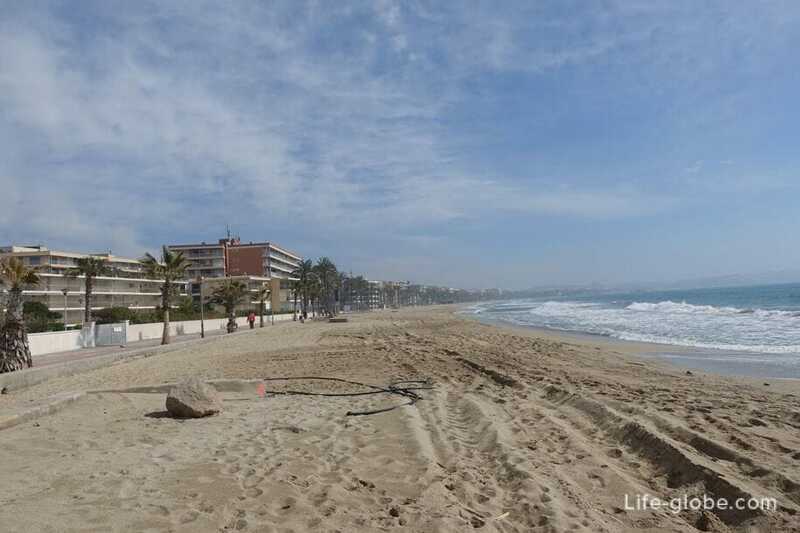 The beach is 1 115 meters with an average width of 42.6 meters. 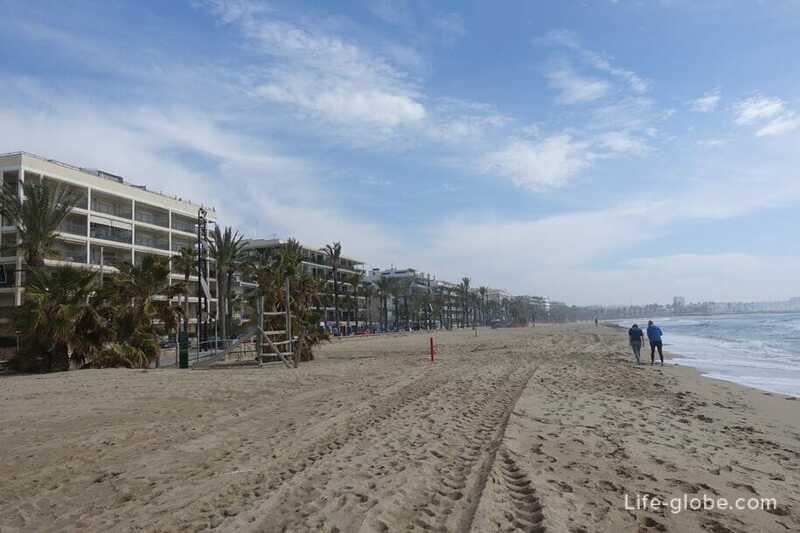 Along with the beaches of Llevant and the Capellans is a group of the city of Salou's beaches with a total length of 2.5 km, with fine Golden sand, shallow waters with a fairly smooth sandy entry into the water. In the high tourist season on the beach of Ponent is present all the necessary infrastructure: sunbeds and umbrellas, toilets and showers, medical care, and rescue towers, bins and beach bars. 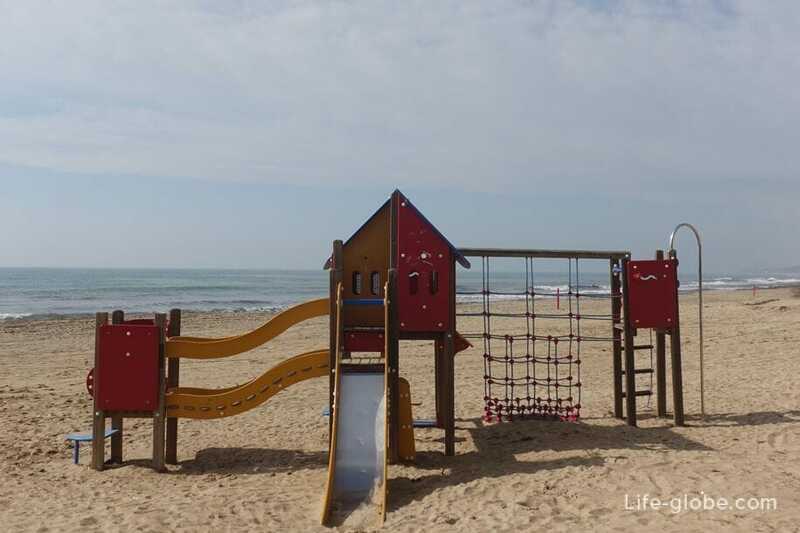 Also on the beaches there are children's play areas, dedicated places for beach-water sports. The Ponent beach is accessible for persons with reduced mobility. 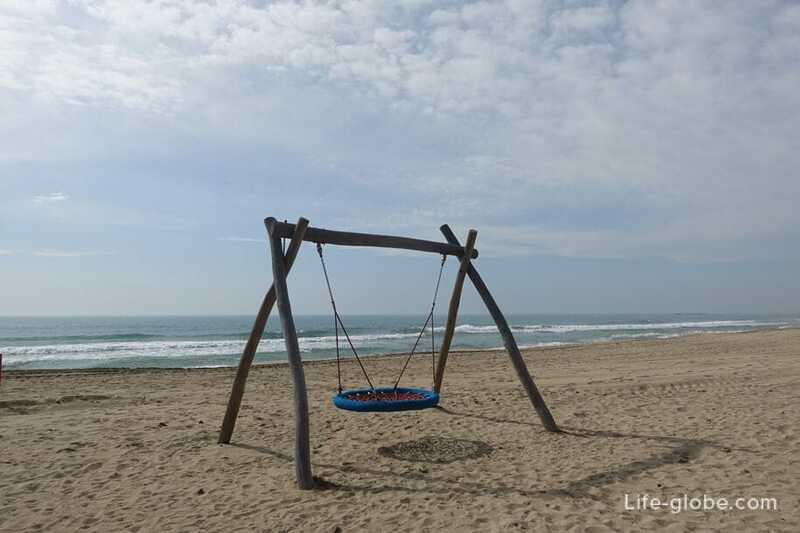 Although this beach is considered and compared to the neighboring Llevant, quite quiet and more suitable for a beach holiday in the height of tourist season on the beach crowded. The widest part of the beach. 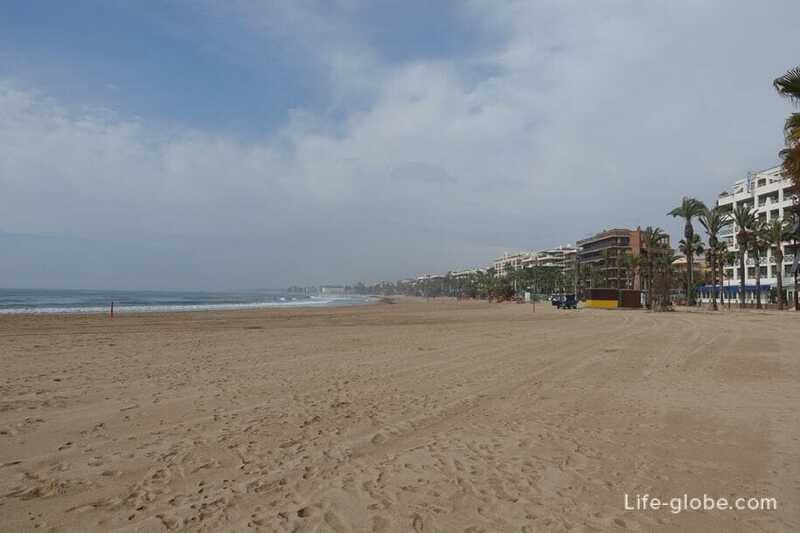 Since this portion of the beach borders the port of Salou, as well as a developed tourist part of the city, East coast beach quite crowded. 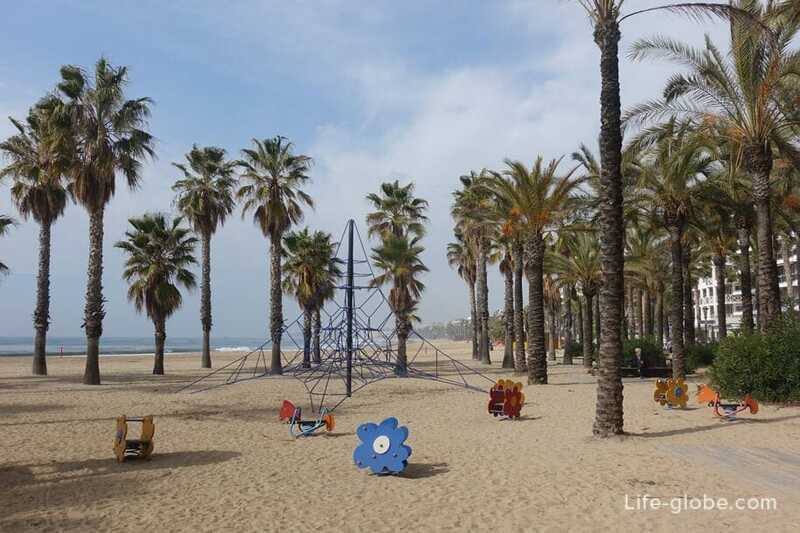 The beach has a few palm trees that can become a shelter from direct sunlight, children's play areas. This part of the beach is the quietest part of the Ponent beach. 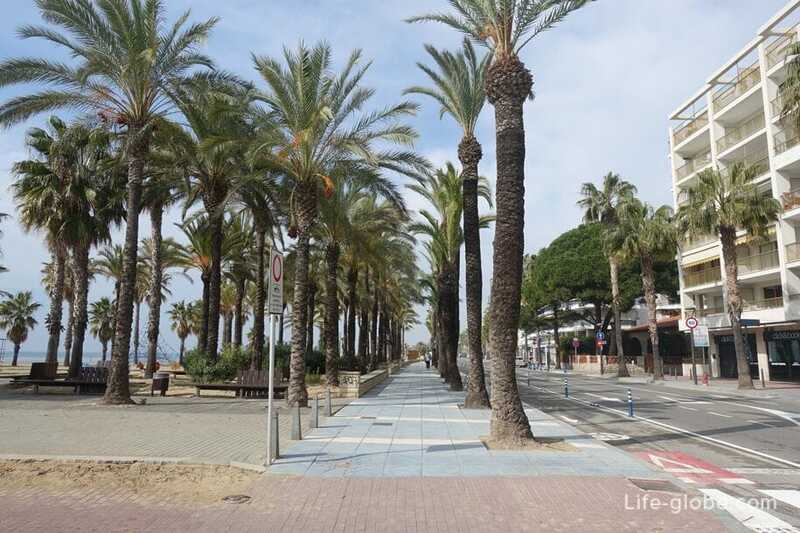 In the Western end of the Ponent beach single beach strip blends in with the beach of Cap de Sant Pere related by the beaches of Cambrils. Visually, the distinction of the beaches and towns are no noticeable only landmark - mounted pointer. 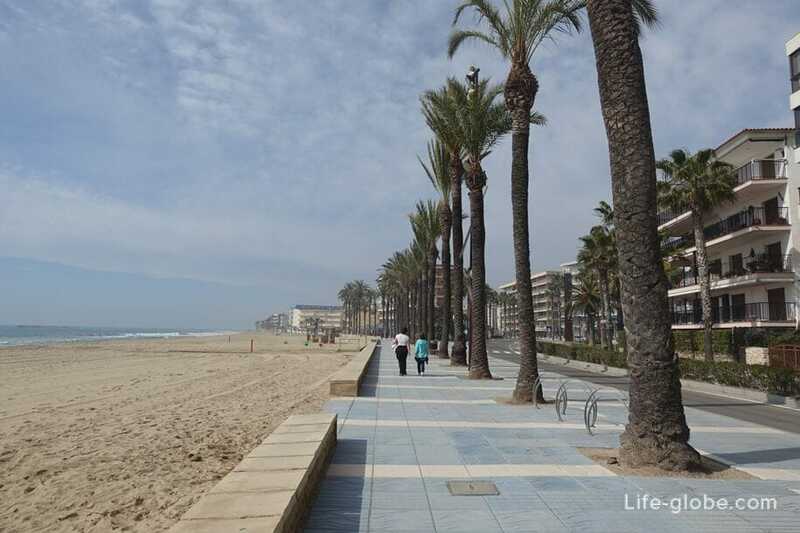 Parallel to the Ponent beach is Miramar Boulevard (Passeig de Miramar), where there is a narrow sidewalk along the beach - he's promenade. 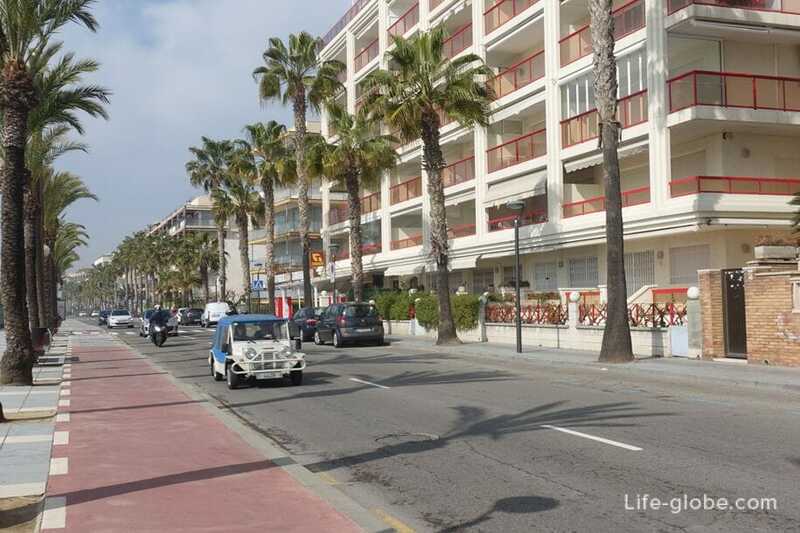 Along most of the beach, parallel to the waterfront, is the road surface, on the opposite side which lined up in a row building on the first floor which cafes and restaurants, there are also souvenir shops and a few shops. 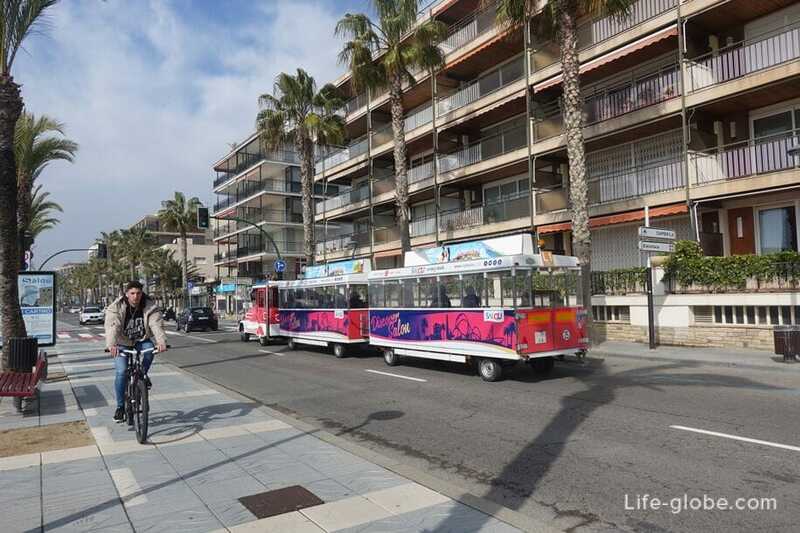 Equipped with a Bicycle path and racks. 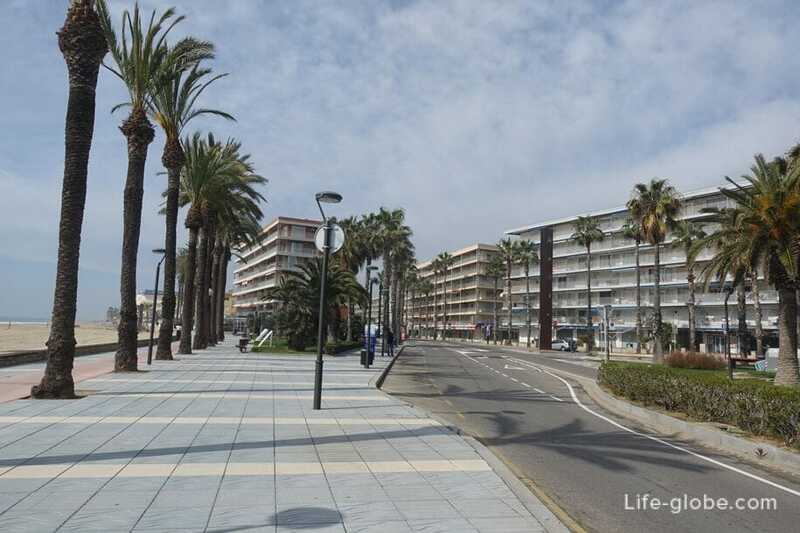 On the first line of Ponent beach are mainly apartments and there are several hotels. These hotels and apartments have quick access to the beach. 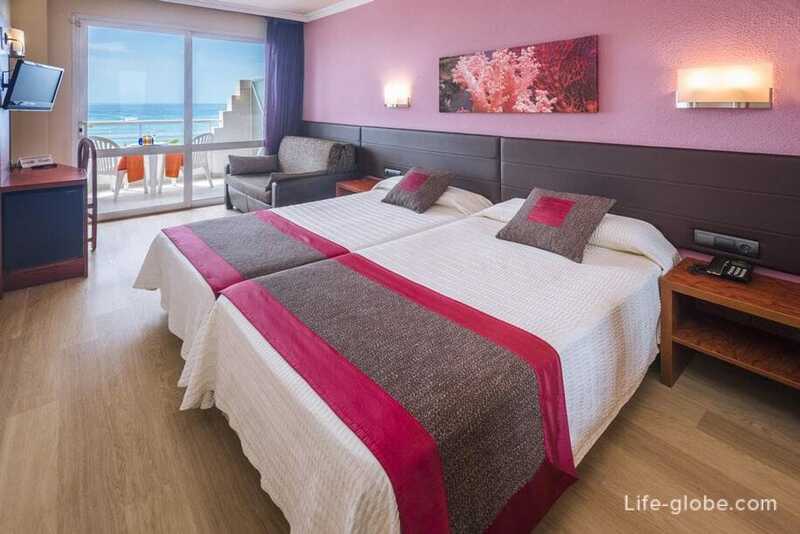 - The 3-star Casablanca Playa. 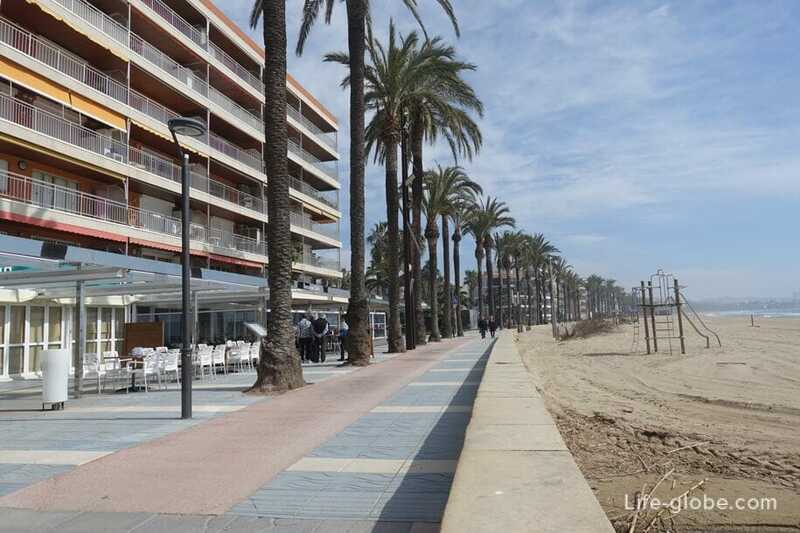 The hotel is situated in the Eastern part of Ponent beach, near Salou port, and therefore the main attractions and evening entertainment are within walking distance. It offers beautiful sea views. It offers free Wi-Fi, an outdoor pool and simply furnished rooms with balconies. Room rates include Breakfast. Available in 2-, 3 - and 4-bed rooms. - apartment with sea Sol. The apartment has 3 bedrooms, a TV, air conditioning and a shared lounge. 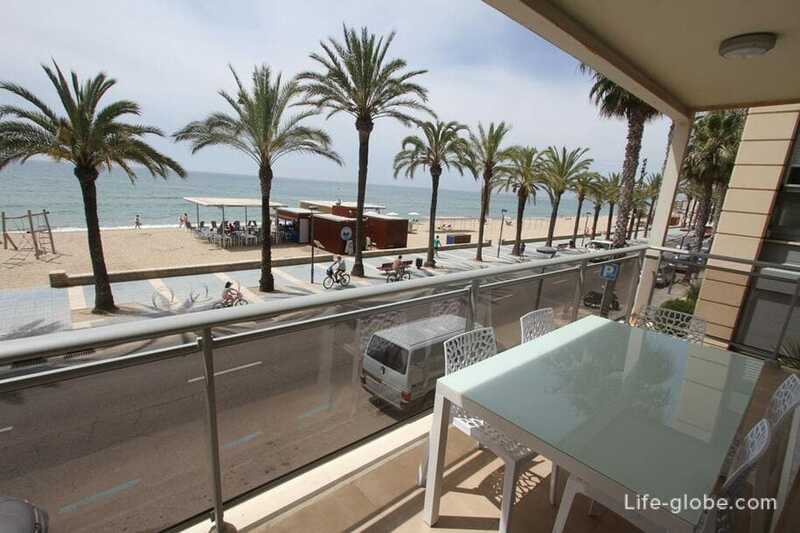 - apartments with two bedrooms and sea views Different Morsa. The apartment has a fully equipped kitchen, a furnished terrace and a bathroom. The room features a flat - screen TV and a dishwasher. 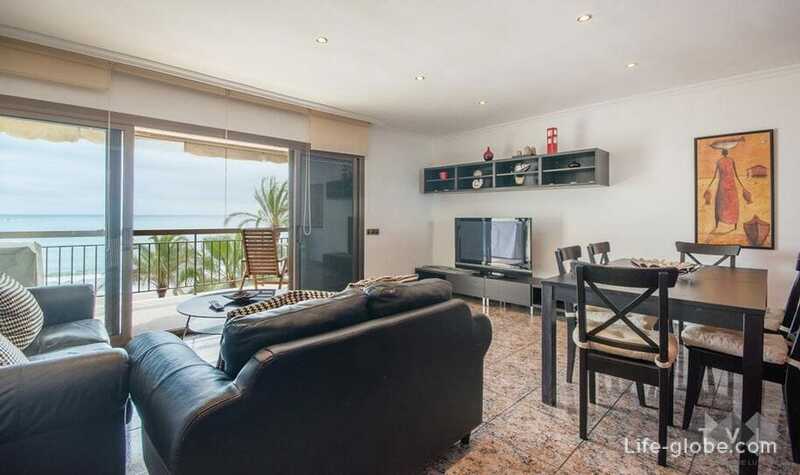 - modern apartment with two bedrooms las Palmas VII. 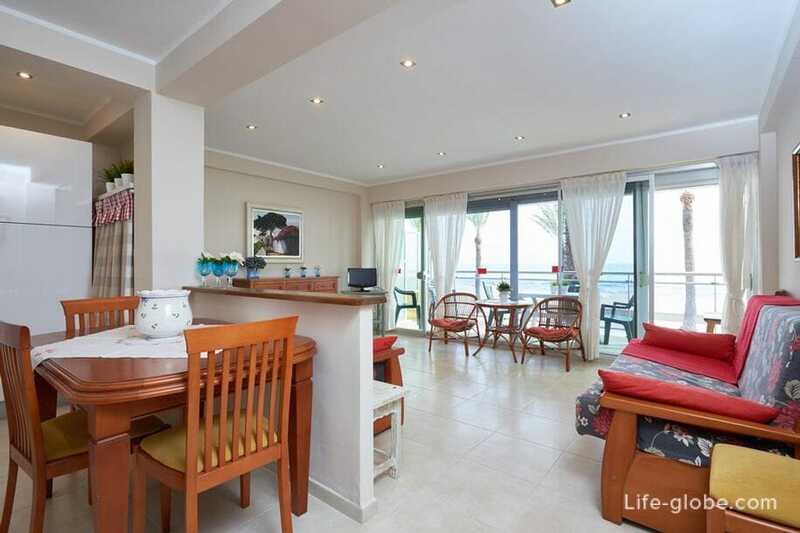 It offers 2 shared, seasonal pools with a terrace and sea views. Apartment is air conditioned. The living room has a sofa and dining area and the modern kitchen - washing machine and dishwasher, hob and oven. 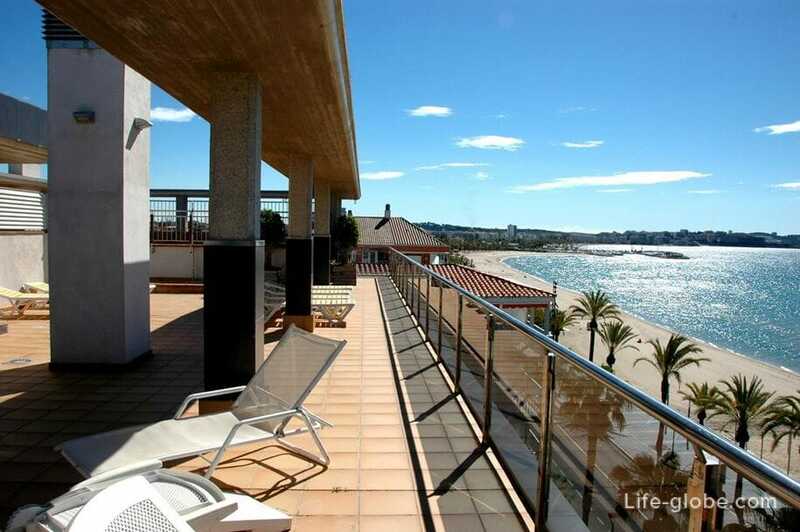 - Sol Mar apartments with access to the terrace, 4 bedrooms and a fully equipped kitchen. 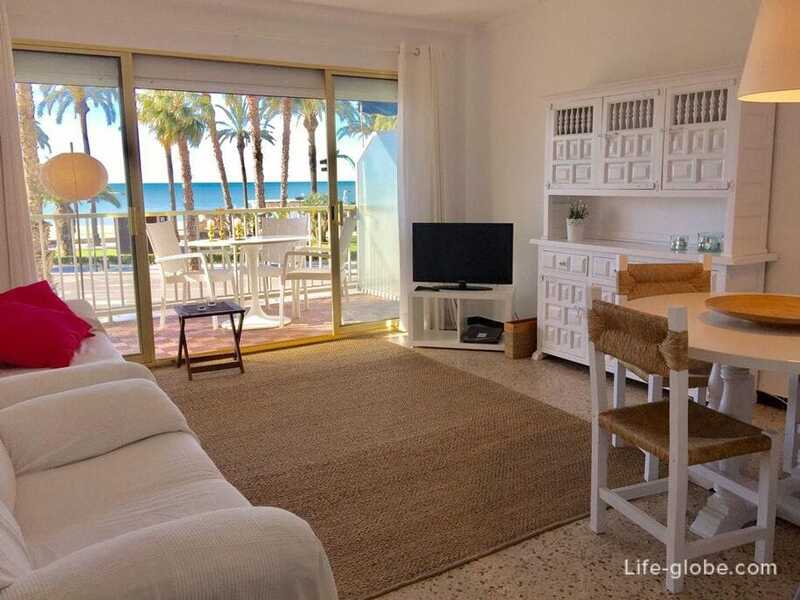 - apartment Venus Beach with sea views. It offers 3 bedrooms, a terrace, a coffee machine and free Wi-Fi. The apartments feature a flat-screen TV, a well-equipped kitchen with a dishwasher and a bathroom with a bath and a bidet. This apartment is located at the Western end of the Ponent beach.